The number of hospital inpatients in England aged over 65 increased by almost half in the ten years to 2015-16 – from four million to just under six million, according to the Health Foundation. And with data from the Office for National Statistics showing that the over-65s population is predicted to grow by 21% by 2027, it is easy to see why care for older people is a growing area in nursing. To meet current and future demand, the University Hospitals of Leicester NHS Trust is undertaking a recruitment drive to find enthusiastic band 5 nurses to come and work with us. Working with older people provides nurses with broad experience, so is a great starting point for your nursing career. Nurses on our wards gain a variety of clinical skills, such as administering intravenous drugs and changing dressings, and work with the medical teams to diagnose patients. As working with older people can involve sensitive areas such as end of life care, staff need to be emotionally resilient, have excellent communication skills and be passionate about working with older people. This can be a challenging area of nursing; it can be physically demanding and some of our patients, such as those with dementia, can display challenging behaviours. In recognition of this, our medical ward nurses receive a 7% recruitment and retention premium on top of their normal salary. Our multidisciplinary team – including doctors, therapists, healthcare assistants, housekeepers and volunteers – offer great support for our nurses. We have matrons who oversee the wards and coordinators who are responsible for discharging patients, helping to free up nurses’ time so they can focus on providing dedicated, patient-centred care. 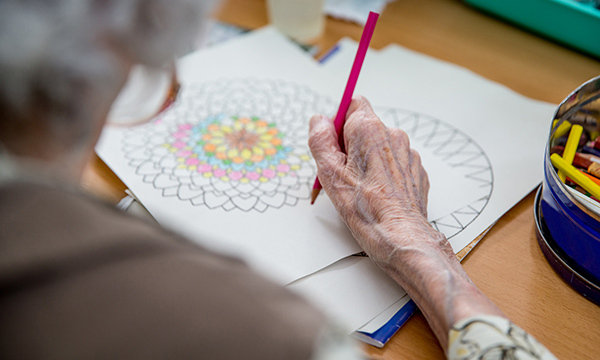 On our two dementia-friendly wards, we employ meaningful activity facilitators who work with individuals who have dementia, engaging them in conversation and activities such as drawing, bingo and looking at photographs. Hand massages are provided, with the facilitators doing everything they can to ensure patients are settled and engaged. 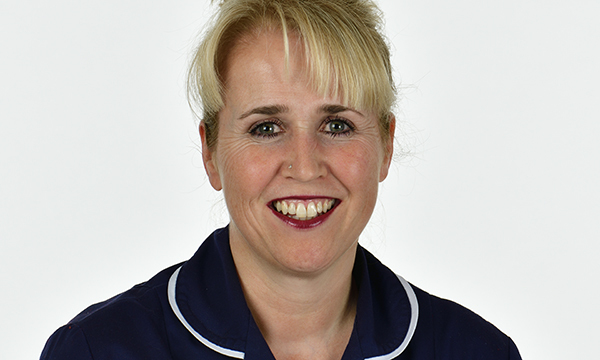 I began my career in the NHS 15 years ago as a domestic assistant, but soon realised my passion lay in nursing. I trained for my nursing qualifications through the trust and wanted to be a surgical nurse – until my last placement in medicine at the Royal Infirmary changed my mind. I enjoy the fast pace and exciting cases I work on in medicine, and find it really rewarding working with older people. To send home a recovered patient, who then continues to lead a full and active life with their wife of 60 years, is extremely fulfilling. It is hard work but it’s very satisfying to finish a shift knowing you’ve made a difference to someone’s life. Justine Wood wanted to be a surgical nurse… until the placement that changed her mind. I’m proud to work with a wonderful team, and the praise and lovely feedback we receive from appreciative patients and their families spurs me on. Staff are very supportive and there are many learning opportunities for nurses at different stages of their careers – I have gained a vast amount of experience and am currently working towards my degree. As long as you are prepared to work hard, you’ll go far here. For anyone considering becoming a nurse working with older people, don’t hesitate. As head of nursing in medicine for older people, I am responsible for 17 specialty medicine wards and find working with older people hugely rewarding; some of our patients have a great sense of humour and every day is different. At Leicester, we try to ensure our nurses have a great work-life balance. 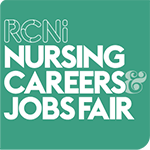 We offer good salaries and career progression is prioritised; hospitals in Leicester have good education links with local universities and provide comprehensive training and education packages to enable nurses to develop their careers. Each ward sister works with their staff nurses to support them in achieving their goals, and we currently have a number of staff nurses undertaking degree programmes in older people's care. These staff are given time off from the ward to attend university for the required modules. The trust provides many professional development opportunities for nurses – I have completed a BSc degree, a postgraduate diploma and a master's degree while working here. Leicester’s hospitals are part of a major new recruitment campaign. Working in partnership with Leicestershire Partnership NHS Trust, LOROS Hospice, Rutland County Council and Leicester City Council, the campaign - Y/Our Future – aims to attract greater numbers of health and social care professionals to live and work in Leicestershire and Rutland.